The Faculty of Social Sciences successfully hosted their first ever annual conference from the 18th to the 19th of October 2018 at the Midlands State University main campus in the Senate boardroom. Running under the theme ‘Peace, Resource Governance and Sustainable Development,’ the two day conference was sponsored and supported by the Midlands State University Research and Post Graduate Office as well as the Council for Development of Social Sciences Research in Africa (CODESTRIA). In her welcome remarks, the Acting Pro Vice Chancellor for Research and Academic Affairs, Professor Doreen Z Moyo congratulated the Faculty of Social Sciences for holding their inaugural conference and expressed her desire to see them hold conferences of a similar nature at an international level. “It is my pleasure to welcome you all to this auspicious occasion where fruitful conversations will take place and it is my hope that this creates a foundation for bigger international conferences,” said Professor Moyo. Citing the theme of the first annual conference, she also went on to emphasise on the need to pay attention to resource governance and the important role resources play in peace building and sustainable development. 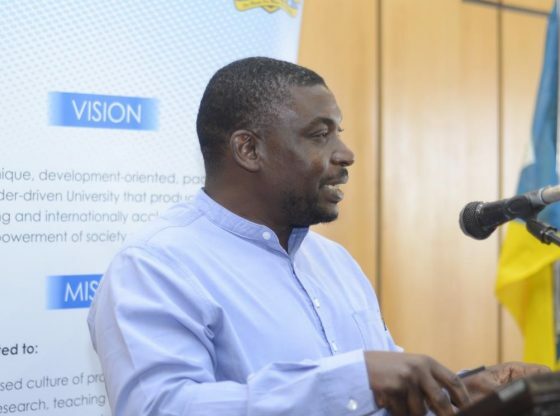 The Executive Dean of Social Sciences, Professor Chipo Hungwe said the conference was mainly focusing on bringing forth solutions to the problems that Africa was facing because of resource scarcity and competition. The conference was characterised by detailed and elaborate presentations made by the researchers during the conference who similarly pointed out that it is impossible to have sustainable development without peace and vice versa. Two profound presentations by Professor Nhamo Mhiripiri and the keynote speaker Dr James Muzondidya also addressed critical issues of resource management that affect sustainable development in Africa. He noted that in the case of Zimbabwe, this can be avoided through creating a robust natural resource governance framework so that we achieve sustainable development and sustainable peace.